Haapavesi Folk High School is located in the centre of Haapavesi. A wide variety of leisure time opportunities as well as services are offered in the close vicinity of the Folk High School. On the other hand, Haapavesi is surrounded by beatiful nature and one can enjoy the peace and quiet of the countryside. 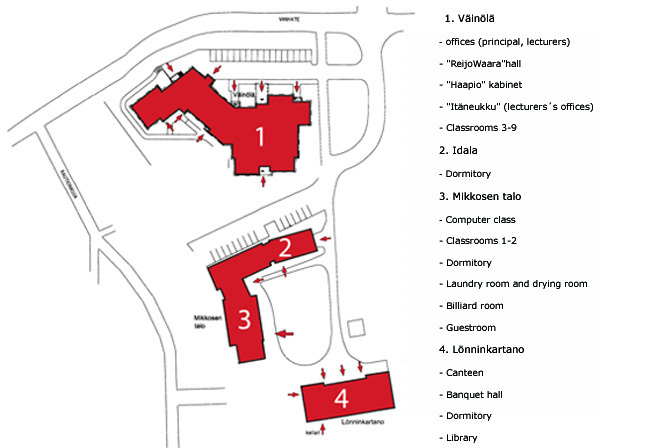 Haapavesi Folk High School is an ideologically independent boarding school. The cosy and modern facilities offer an ideal setting for studies and accommodation. Haapavesi Folk High School is a growing educational establishment which offers vocational studies, vocational adult education, multicultural studies as well as commercial education and training in various fields (dance, theater, law, etc. ).